Two medals and two million followers; not a bad Olympic Games for Zhang Jike. Zhang Jike hit snooze before his quarterfinal match against Koki Niwa in Rio and was found sound asleep just moments before stepping out on court. Zhang lost the first game and looked as though he had got out on the wrong side of the bed. Wake up, Zhang Jike! You can’t continue sleeping! It’s the Olympic Games! OK, it wasn’t exactly Confucius level wisdom. But it worked. Niwa should have kept quieter on the court. But when CCTV picked up Liu’s ‘tactic’, Zhang found that his nap had become a trending topic on Weibo — China’s number one social media site. #WakeUpZhangJike was all over the web and memes quickly followed. Even Xiena, Zhang’s favourite actress, posted about sleepy Zhang. The effect was instant and new fans have flocked around the silver medallist’s account. Before the Rio Games, Zhang Jike had 1.02 million followers. He now has over 3 million! 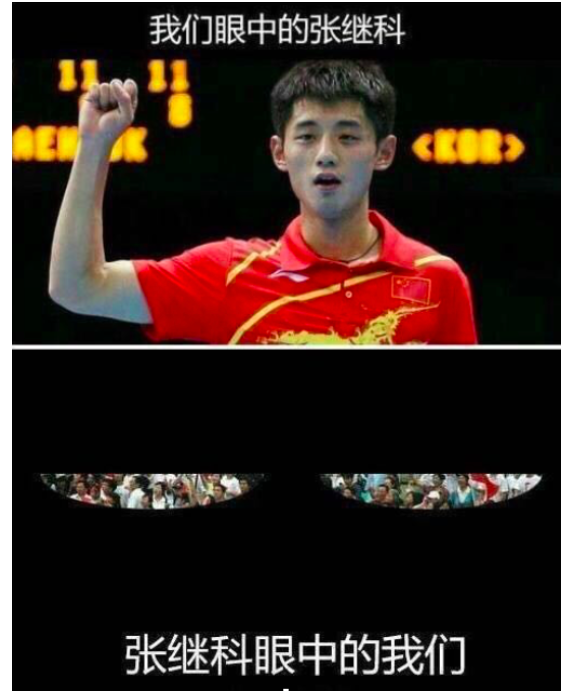 Ma Long may have won gold in Rio, but Zhang has won the internet’s affection. But is a new hashtag on the rise? Currently trending at number nine on Weibo — Zhang Jike’s underwear. CCTV gets in close to the action.